pgCenter: Stress Free Postgres Stats — An open-source CLI admin tool for working with Postgres activity statistics. Now newly written in Go. Sequence Caching: Oracle vs. Postgres — Sequence caching is when a DB pre-generates sequence values in advance making them quicker to provide when needed. Don reflects on how they differ between Postgres and Oracle. 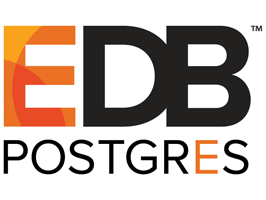 News: Alibaba Cloud Expands Technical Partnership with EnterpriseDB — ...to provide enhanced Postgres cloud database capabilities on Alibaba Cloud. The 'O' in ORDBMS: Postgres's Inheritance Support — Postgres’s support for inheritance opens up interesting database design possibilities and if you’re not familiar with it, this is a gentle intro. Per-Table Autovacuum Tuning — A lot of Postgres administrators are familiar with tweaking their vacuuming setup, but what about on a table-by-table basis? A History Lesson on SQL Joins in Postgres — Since widely different SQL queries can yield the same result, Postgres’s query planner works hard to find the most efficient way to execute JOINs. Why Do We Install Postgres as root? — Ever wonder why Postgres installs as the root user? Well here is your answer. Speed Up UPDATEs & DELETEs Across All Cores in a Distributed Cluster — By using high performance distributed DML with subqueries. Benchmarking data included: Citus vs. others. 2Q PGConf 2018 — December 4-5 (Chicago) A conference dedicated to exchanging PostgreSQL knowledge.